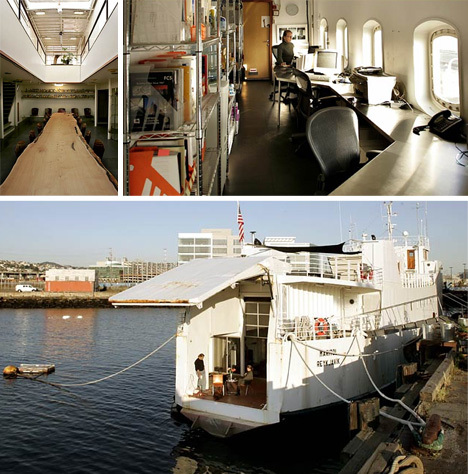 It truly is a hulk of a thing to make into a live/work space, but there is an industrial loft-like quality that renders this decommissioned Icelandic car carrier appealingly open yet cozy at the same time. 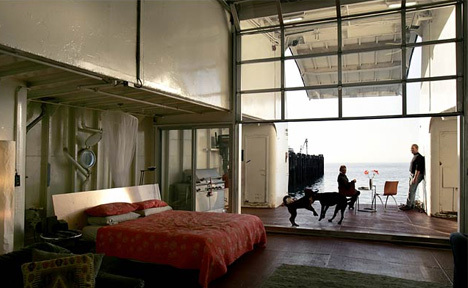 Its owners, occupants and redesigers Olle Lundberg and Mary Breuer (architects and fabricators by trade of ) looked into everything from tugboats to ships before finding this offbeat beauty and deciding to call it home. It ‘only’ cost a few hundred thousand to buy, but multiple times that to make fully habitable as an abode and office. 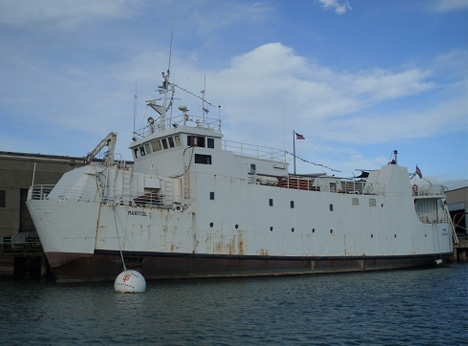 Among other expenses, they had to hire the crew to take it on a seven-week trip from Iceland, through the Panama Canal to dock in Mission Bay. 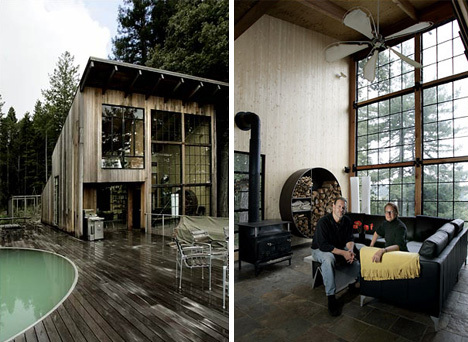 Their secondary residence, much like their primary, is weird and wonderful as well – an oddly-shaped cabin that combines a small original rural structure with their own custom additions and populated with leftover furniture commissioned but then not purchased by clients. 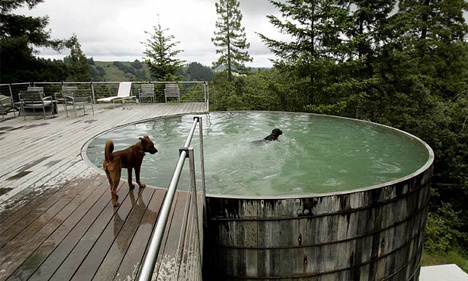 The pool, for instance, is a massive wooden water tank rescued from a farm property, patched up with wood from a local winery, then added to the exterior and filled with liquid (which initially smelt of red wine when swimming). Images via New York Times photographer Peter DaSilva.